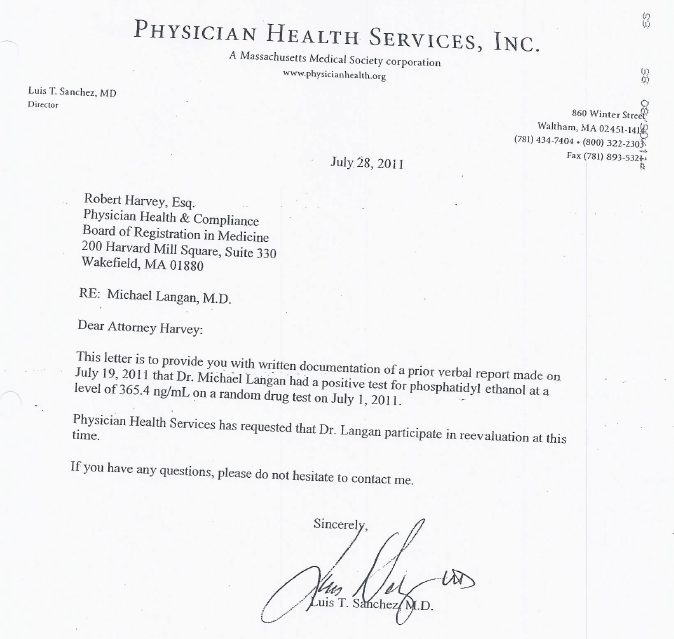 Physician Health Programs use a doctor’s medical license as “leverage” in what they call “contingency management.” What this means is that a doctor who is being monitored by a PHP must comply with any and all demands of the PHP under threat of being reported to the state Medical Board and immediate suspension of licensure. Dupont wants to extend this model to other populations including our elderly, our pregnant mothers, college and high school students and schoolchildren. 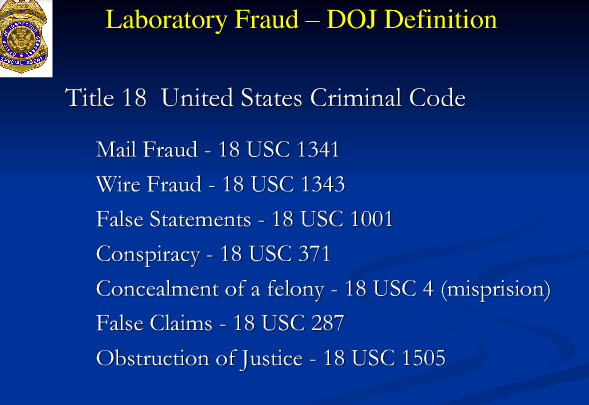 The 2013 American Society of Addiction Medicine White Paper on Drug Testing describes the organizational structure of the “New Paradigm” and this includes utilizing the medical profession as a urine collection agency for their drug and alcohol testing and the loophole they plan to exploit is this: When a doctor-patient relationship exists drug and alcohol testing is rendered “clinical” rather than “forensic”so the consequences of a positive test can legitimately be called “treatment” rather than punishment. Because addiction is currently defined as a disease, addicts must be “treated” (which in the United States is more often coercive than voluntary), and “cured” (which is defined as remaining abstinent). When the disease concept is not strictly reserved for medical conditions but is expanded to any and all drug and alcohol use. 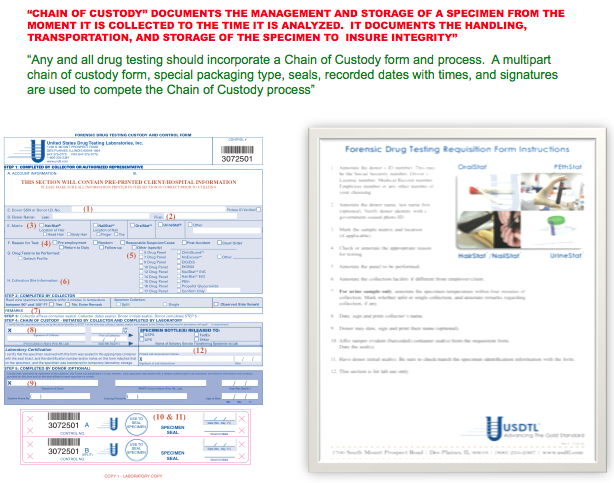 The proposed system bypasses the strict chain-of-custody and Medical Review Officer requirements designed to ensure accuracy and minimize false-positives. These strict protocols are used by essentially all employee assistance programs (EAPs) in workplace drug testing programs. Forensic drug testing is tightly regulated because the results of a positive test can be grave and far reaching and erroneous results are unacceptable. 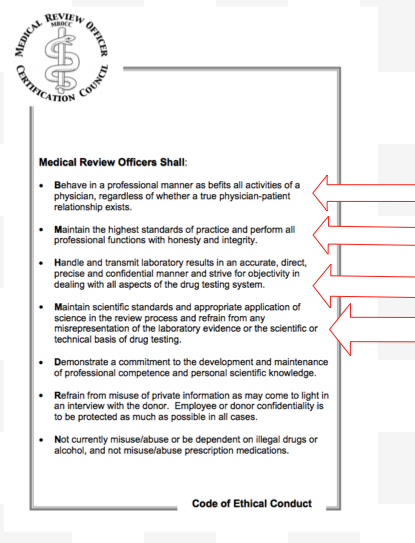 Federal workplace drug testing is done in accordance with mandatory guidelines. This testing is regulated using FDA approved tests with established sensitivity, specificity and cutoff levels. FDA approval requires rigorous research and proven validity. The FDA requires valid scientific evidence (with both clinical and analytical validation). The Federation of State Physician Health Programs (FSPHP), the group currently in managerial control of state physician health programs in 47-states, has introduced non-FDA drug testing via a loophole that removes all accountability. The EtG, EtS, and PEth tests were introduced as Laboratory Developed Tests (LDTs) with little to no evidence base through pathway developed for “clinical” tests of low market potential that would not otherwise be developed due to the prohibitive cost of the FDA approval process. 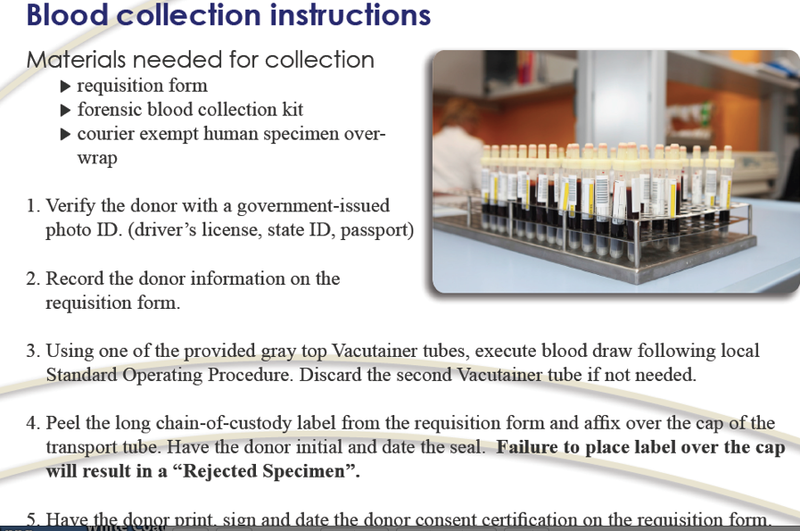 An LDT does not even require testing in humans (“in vivo”) or even proof that the test is testing what it claims to be testing (validity) for. It is an honor system and without FDA oversight a lab can can claim anything they want about these tests with no accountability. They do not have to provide any proof of what they claim or justify what they claim. 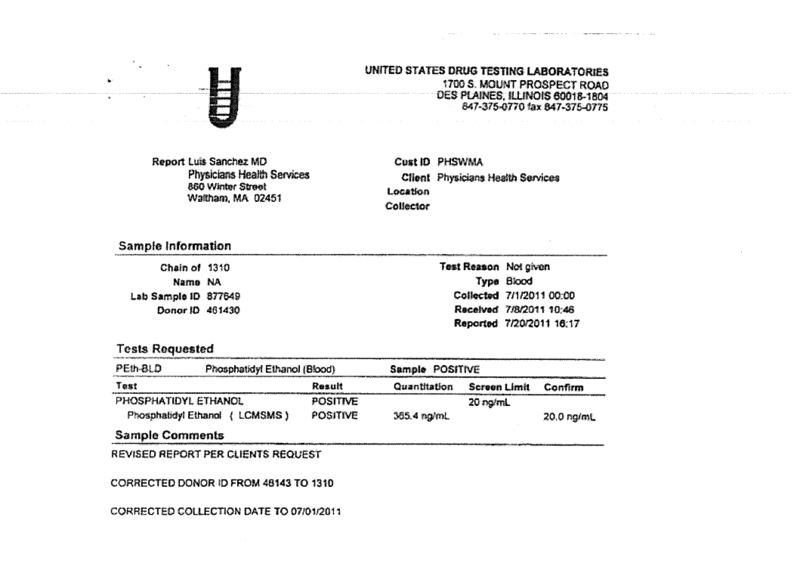 After partnering with labs to develop these tests, the FSPHP then convinced the Federation of State Medical Boards they were valid and accurate tests that were necessary to detect a bogus cadre of drunk and drugged doctors able to hide their impairment and who were protected by a “code of silence.” This bogus danger was then used to convince state Medical Boards to use these unvalidated tests on doctors in state physician health programs. 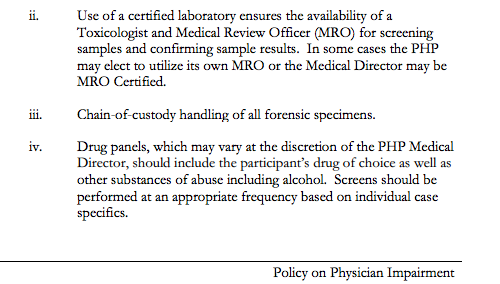 The ASAM white paper contains the following quote minimizing the critical role of the MRO in drug testing. They feel clinical testing is good enough. Unlike forensic drug testing where the test results must be able to meet rules of evidence in administrative, civil or criminal proceedings, clinical drug testing* is part of a patient examination performed by a clinician with whom the patient is in a therapeutic relationship. The testing is used for the purposes of diagnosis, treatment, and the promotion of long-term recovery. Clinical drug test results must meet the established standards of medical practice and benefit the therapeutic relationship, rather than meeting the formal legal requirements of forensic testing. Drug testing in medicine employs the same sound procedures, safeguards, and systems of information management that are used for all other health-related laboratory tests, tests on which life-and death medical decisions are commonly made. The Federation of State Physician Health Programs has been able to construct this scaffold with no meaningful opposition and below the public radar. They have done this by removing accountability at multiple levels. By preventing access to information and erecting a system without oversight no consequences exist to deter misconduct and abuse. The same tactics and strategies will be used as they expand this to other populations. 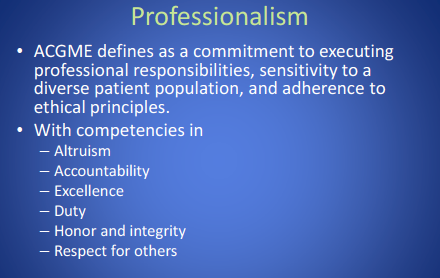 “Empowered” to conduct an “Intervention” for reasons “suggestive” of “potential” impairment means a doctor can be pulled out of practice for anything. It essentially gives them carte blanche authority. Due process and fundamental freedoms of choice are removed. G. Douglas Talbott defines “relapse without use” as “emotional behavioral abnormalities” that often precede relapse or “in A A language –stinking thinking.” AA language has entered the Medical Profession and no one seems to have even noticed. The FSPHP political apparatus exerts a monopoly of force. It selects who will be monitored and dictates every aspect of what that entails. It is a, in fact, a rigged game. Accountability is necessary to prevent corruption and requires both the provision of information and justification for actions. What was done and why? Accountability also necessitates consequences-the ability of outside actors to punish and sanction those who commit the misconduct. Without these constraints corruption is inevitable. In Ethical and Managerial Considerations Regarding State Physician Health Programs Knight and Boyd state: “Because PHP practices are unknown to most physicians before becoming a client of the PHP, many PHPs operate outside the scrutiny of the medical community at large. 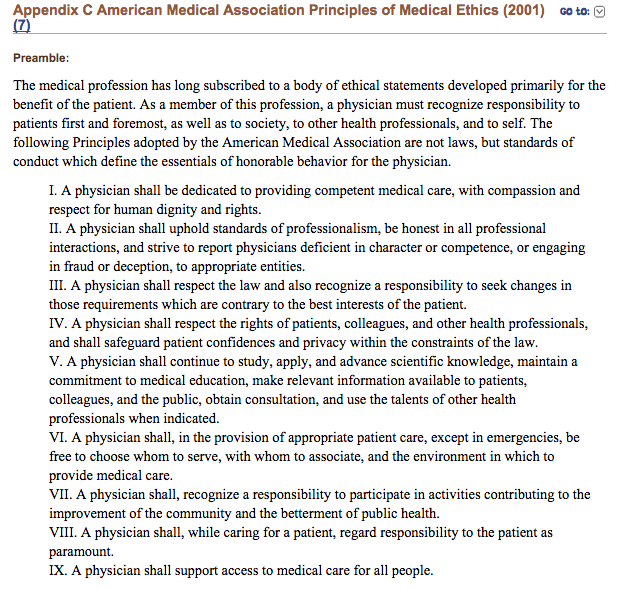 Physicians referred to PHPs are often compromised to some degree, have very little power, and are, therefore, not in a position to voice what might be legitimate objections to a PHP’s practices.” And when objections do occur many take the side of the PHP, complacent in their belief that these are just altruistic and competent doctors just helping sick colleagues and protecting the public and valid complaints are deemed nothing more than “bellyaching. 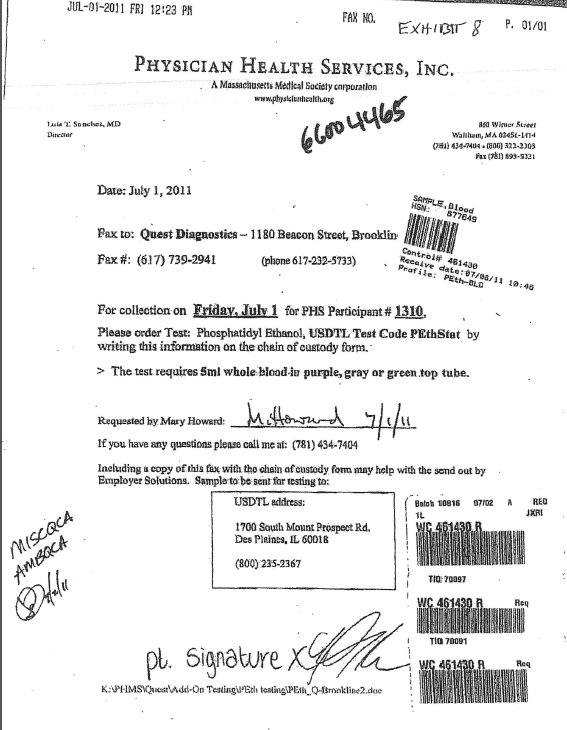 In reality the ethical and criminal misconduct occurring in PHPs rivals that of Dr. Farid Fata, the Detroit Oncologist who intentionally misdiagnosed patients with cancer so he could make money off unnecessary chemotherapy treatment. Dr. Fata’s egregious betrayal of trust and unconscionably vile acts resulted in an appropriate response. The exact same misconduct is being perpetrated by PHPs but being overlooked, justified or otherwise ignored. Dr. Fata intentionally misdiagnosed patients with cancer who did not have cancer so he could give them chemotherapy to make money. 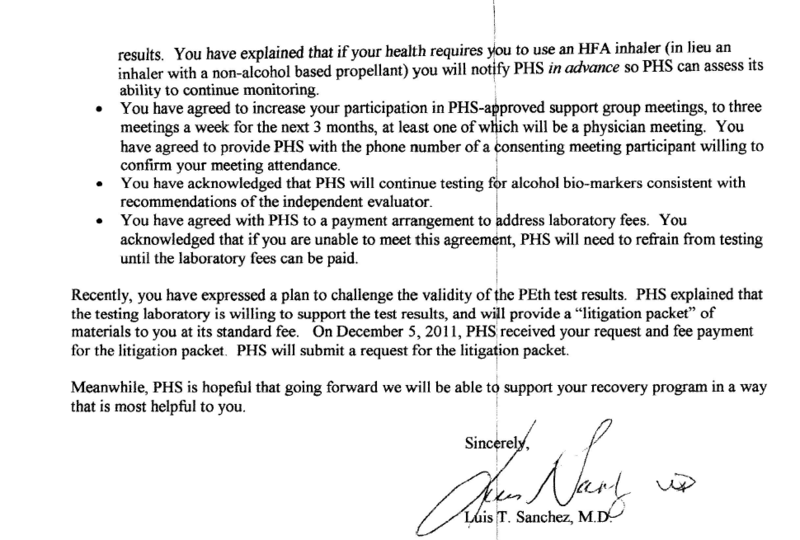 PHPs are intentionally misdiagnosing substance abuse and behavioral disorders in physicians who do not have them in order to give them unneeded treatment and force them into monitoring contracts for profit and control. 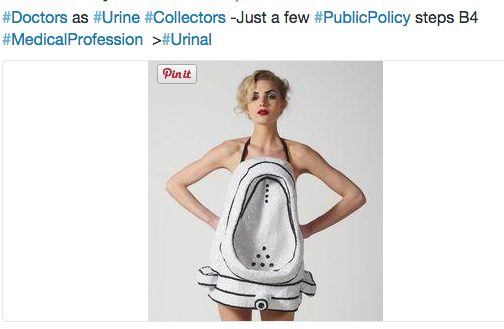 This undermines the very integrity of the profession. It is particularly vile when the betrayal of trust involves doing the opposite of what was entrusted. 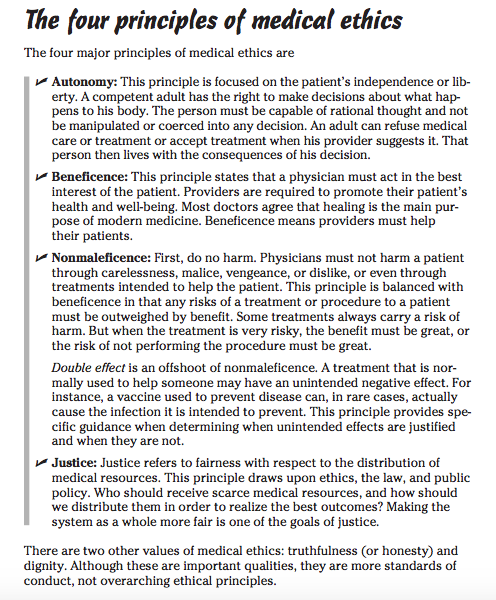 Abuse of positions of power, trust and influence in the field of medicine need to be both prevented, recognized and addressed. Oversight, regulation and accountability are essential if this is going to be accomplished. There are no exceptions. Policies and procedures must be enforced in a consistent manner. The medical boards, medical societies, and departments of health have given the state PHPs carte blanche control and absolute power. They refuse to even investigate accusations and they have convinced law enforcement that this is a parochial matter best handled by within the medical profession. As a result, valid complaints of crimes are not taken seriously. This refusal to investigate or even acknowledge valid and factual complaints of professional misconduct has not only prevented the exposure of wrongdoing and corruption but deepened it. 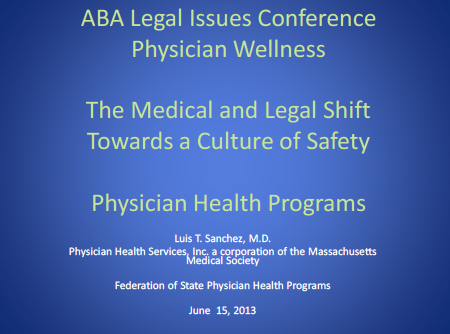 The Federation of State Physician Health Programs and “Like-minded docs” must be recognized for what they are. Front-groups for the drug and alcohol assessment, testing and treatment industry. This is glaringly obvious and you don’t have to look that deep to figure it out. 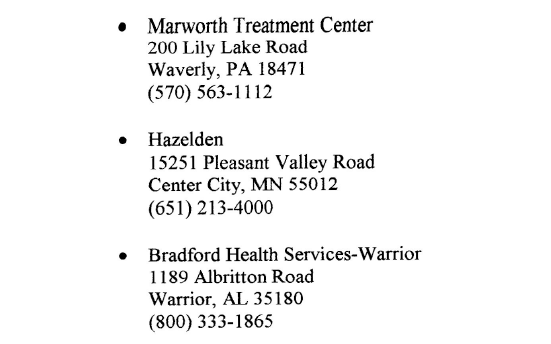 And these are the very same groups being proposed as advocacy bodies for addiction treatment and public policy change. It is not that hard to figure out what they will be advocating for –more diagnoses, more testing and more treatment. 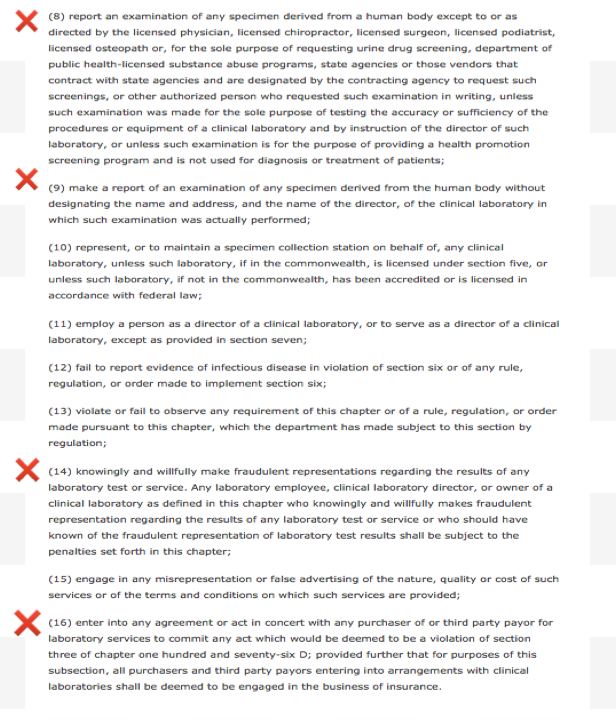 The “PHP-blueprint” is built on the very foundation Hoffer describe and unless you want mandated randomized non-FDA approved drug and alcohol testing with “swift and certain” consequences at future visits with your doctor you will need to speak up. 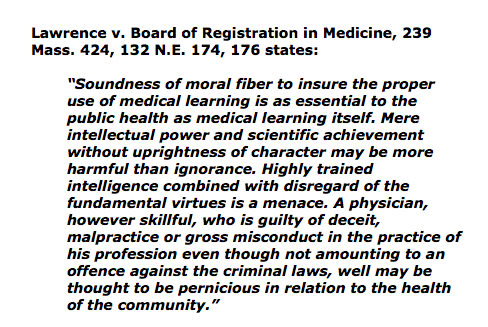 This occurred in the medical profession rapidly and with little notice and that is exactly what will happen here. The Plan to introduce non-FDA approved drug and alcohol tests into the Healthcare system and require doctors drug-test ALL PATIENTs including students and kids! 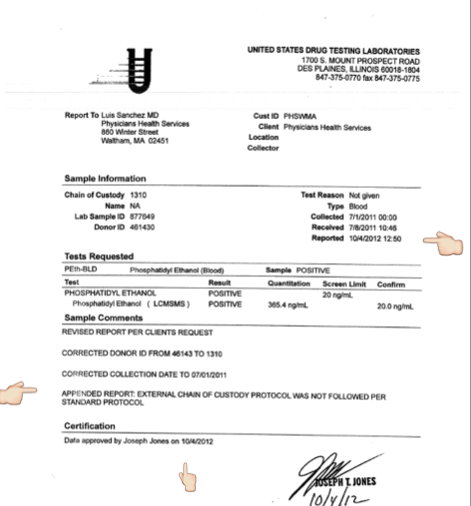 The Plan to introduce non-FDA approved Laboratory Developed Tests (LDTs) into the Healthcare system and require doctors drug-test ALL PATIENTs including students and kids! 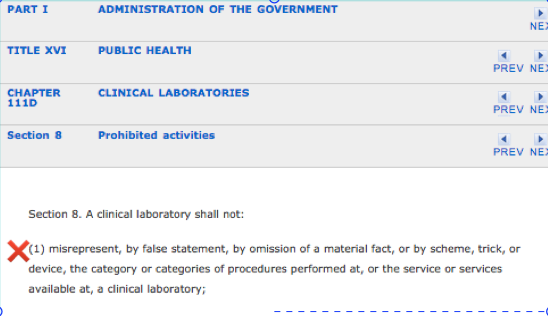 The ASAM plans to introduce non-FDA approved “forensic” Laboratory Developed Tests (LDTs) into mainstream healthcare via a loophole. This same group introduced most of these tests through a loophole and now they want to drug-and alcohol TEST EVERYBODY including STUDENTS AND KIDS through another loophole! 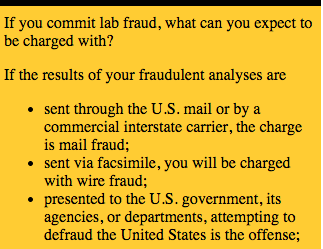 These tests are of unknown reliability and accuracy. 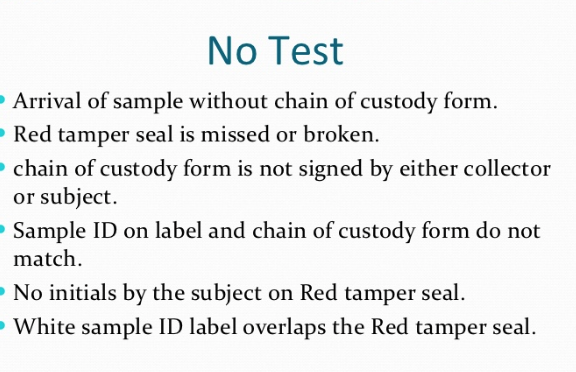 The LDT pathway does not even require proof that the test is even valid (i.e. 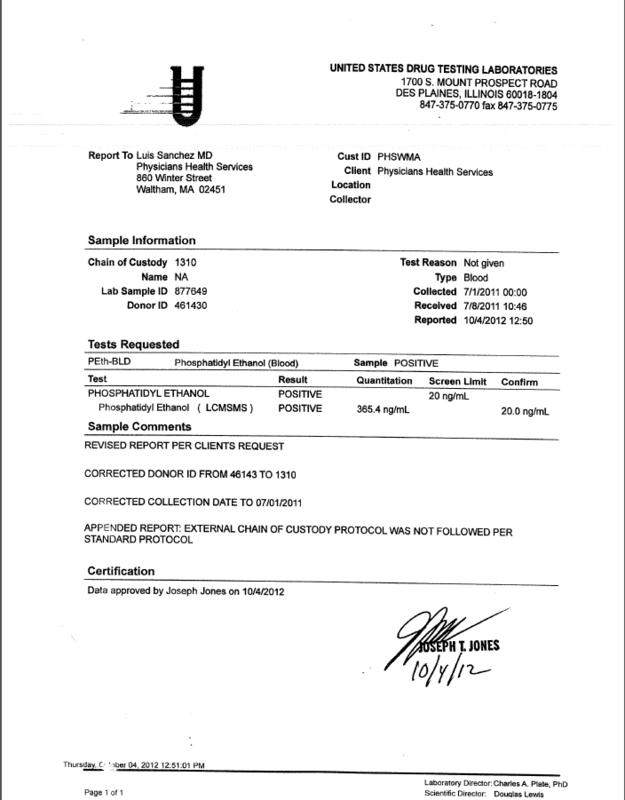 that the test is actually testing for the substance it claims to be testing) but with no FDA oversight or regulation the labs can claim anything they want in marketing it and they do. If a doctor collects a test on a “patient” the test is rendered “clinical” rather than “forensic” and by deeming this drug-testing “clinical” rather than “forensic” they can then call the consequences of a positive test “treatment” rather than “punishment. 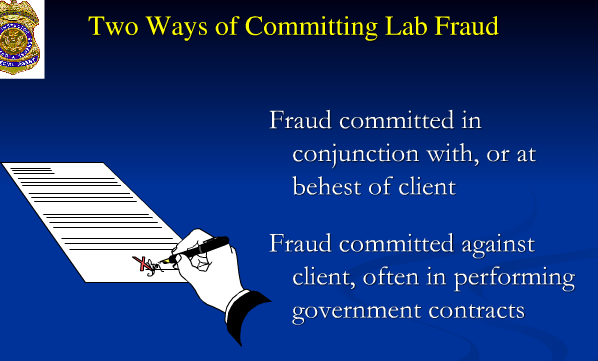 ” It is via this loophole they plan to introduce and unleash the panoply of junk-science tests currently being used on other groups who have no say in the matter (probationers, parolees, private professional monitoring groups, etc. ) onto the general population at large. A boon for the Drug and Alcohol Testing Industry Association and the assessment and treatment industry but a bane to the rest of society. And to prevent this from happening more people need to be talking about this. 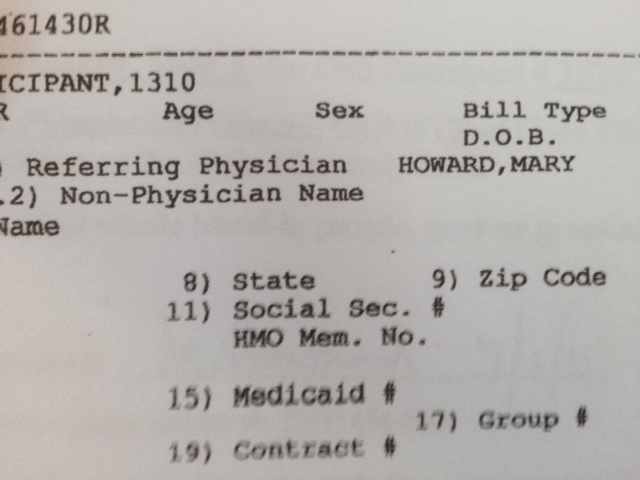 Disrupted Physician 101.2: “Addiction Medicine” is a Self-Designated Practice Specialty Unrecognized by the American Board of Medical Specialties–(An AMA Census Term Indicating Neither Training nor Competence) The fraudulent Addiction Medicine drug-testing, assessment and treatment complex is a charade of prohibitionists and profiteers. 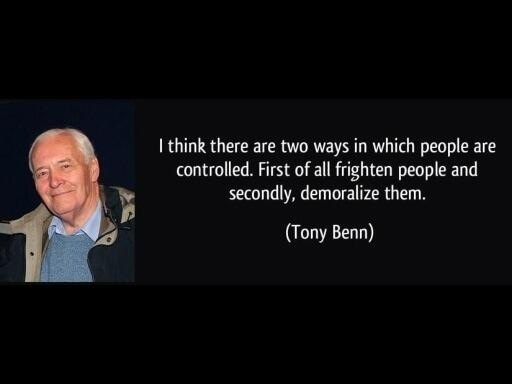 It is time that this be identified and addressed. Addiction Medicine has evolved in a Lord-of-the-Flies manner without regulatory scrutiny or oversight and an absence of the need to guard. 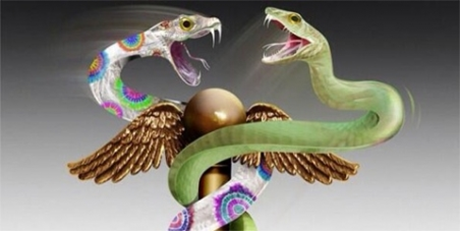 They are the Robber barons of Science and Medicine who have bought and boondoggled their way into the Medical Profession and Society and are poised to ruin both. It is time to take aim at these unsupervised pundits of authoritative opinion with facts, evidence base, and the scientific method. The immense and unconscionable conflicts of interest must also be addressed. 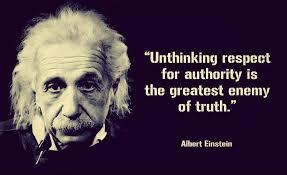 And the blinkered apathy of the masses and willful ignorance of organized medicine needs to end now! If not the ASAM White Paper on Drug Testing will come to pass and we will be faced with a future Police State run by unqualified, illegitimate and irrational zealots and profiteers.